Stan Wawrinka expressed his delight — and also relief — on Saturday that he is back at the Australian Open, scene of his 2014 triumph, after a six-month lay-off due to a knee injury. Although his left knee is still painful, and he isn’t taking pain-killing injections, the fact that the Swiss star is in Melbourne is a victory for the three-time Grand Slam championship winner. “For sure I was worrying a lot because I had eight weeks on crutches,” said Wawrinka at his pre-tournament press conference on Saturday. ”I started my first fitness by just walking. The thing is, it’s always complicated when you’re like at that level before, you get an injury, you can get through pain mentally also, you‘re feeling lonely, not feeling good. 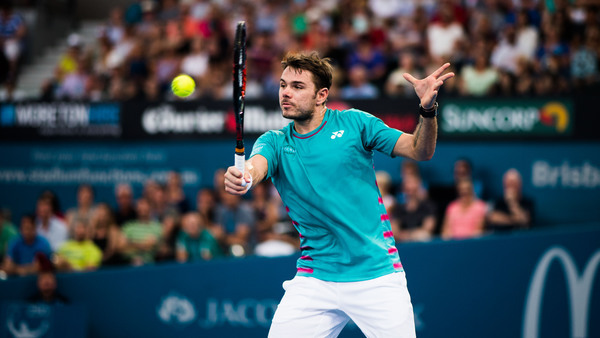 Wawrinka has been drawn to meet Lithuania’s Ricardas Berankis in the Australian Open first round. He has practised with Rafael Nadal, Novak Djokovic, Grigor Dimitrov, Tomas Berdych and Gael Monfils over the past seven days. Wawrinka had appeared at 50 straight Grand Slam championships before missing 2017 US Open and ending season following two left knee surgeries in August 2017. He also underwent right knee surgery in February 2007.